Maryland's health secretary and the head of the Maryland Department of Planning filed a lawsuit Thursday over the state treasurer's refusal to pay their salaries because they have not received Senate confirmation. The move sets up a legal fight over the constitutional powers of the legislative and executive branches of government. 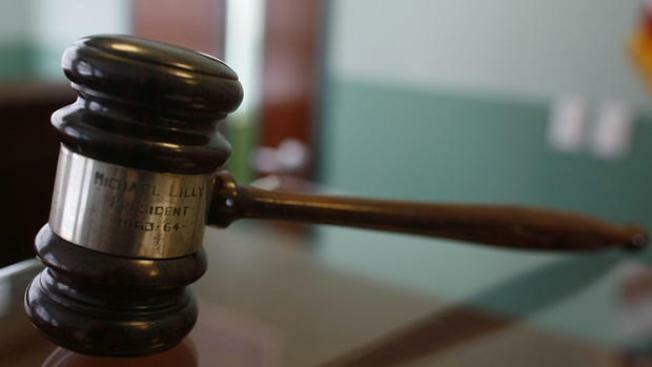 Health Secretary Dennis Schrader and Wendi Peters, who heads the planning department, filed the lawsuit against Treasurer Nancy Kopp in Anne Arundel County Circuit Court. The lawsuit alleges it was unconstitutional for the legislature to add language to the state budget specifically to make the salaries of the two department heads contingent on the Senate's approving their nominations by Gov. Larry Hogan. "The actions of the General Assembly violated the separation of powers provision of the Maryland Declaration of Rights, unlawfully exceeding its budgetary power, and enacting an unconstitutional special law,'' the lawsuit said. The lawsuit involves a battle between the Republican governor and the Senate, which is controlled by Democrats and has confirmation powers over the governor's Cabinet appointments. Hogan appointed Schrader and Peters last year when the legislature was not in session. He submitted their names to the Senate Executive Nominations Committee on the first day of this year's session in January. The panel voted against sending Peters' nomination to the full Senate in March, but Hogan withdrew her nomination before the Senate could vote to reject her nomination. Schrader's nomination never received a vote by the committee or the Senate, and Hogan withdrew his nomination as well. In anticipation the governor would reappoint them, lawmakers this year decided to include language in the state budget that prohibited payment to secretaries who were serving before this year's legislative session and who did not receive Senate confirmation. However, the lawsuit contends legislators wrongly singled out Schrader and Peters. "Because the General Assembly actually intended to discriminate against the Plaintiffs by depriving them of the compensation accorded to their fellow executive appointees, and has in fact created and affected a closed class of the two Plaintiffs, the General Assembly has passed an unconstitutional law,'' the lawsuit says. The day after the legislative session ended April 10, Hogan reappointed Schrader and Peters to their positions. The lawsuit argues that the state's Constitution does not prohibit the governor to reappoint candidates whose nominations he withdrew. "Although the legislature may condition appropriations with reasonable restrictions, it may not use the budget process to restrict the Governor's recess appointments or to preclude particular individuals from being paid compensation that is lawfully contained in the state budget,'' the lawsuit says. Attorney General Brian Frosh wrote in an opinion that Hogan was able to reappoint Schrader and Peters, but he also said the legislature could decide to stop their pay because they have not been confirmed. Raquel Guillory, a spokeswoman for Frosh, said the attorney general's office was reviewing the lawsuit. Senate President Thomas V. Mike Miller said he looked forward to resolving the issue in court. "Like previous executives in our history, both Democratic and Republican, Governor Hogan neither appreciates or understands the concept of divided government adopted by our forefathers and embedded in our Constitution with its carefully balanced system of checks and balances,'' Miller said in a statement. Susanne Brogan, deputy treasurer for public policy, said the treasurer would not comment on pending litigation. Schrader, whose salary is $174,417, has continued to serve as health secretary. He attended a meeting of the Maryland Health Insurance Coverage Protection Commission on Tuesday. Peters, whose salary is $137,749, also has continued to work for the planning department.